Eric DiLauro Official EFX Sports Trainer ; Team DiLauro"Mr Canada Pro Elite Trainer": Hidetada Yamagishi 8 weeks out from the Mr Olympia bodybuiding show. 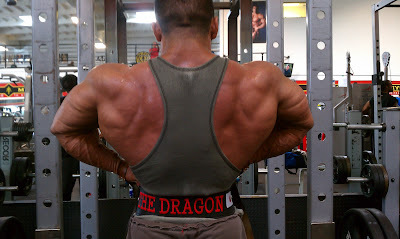 Hidetada Yamagishi 8 weeks out from the Mr Olympia bodybuiding show. Hide just finished a great placement at the Tampa Pro bodybuilding show and awarding him with a qualifying spot at the 2011 Mr Olympia show. Hide is considered a top 10 best bodybuilder in the world and the only Asian to ever grace the prestigous stage in Las Vegas Nevada. I have been preparing Hide for the last 3 years and he has improved so much getting his first IFBB pro win under my guidance. 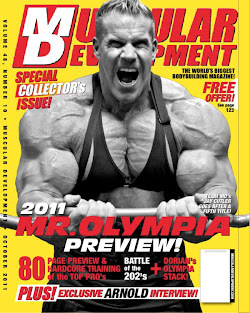 The future looks very bright signing a huge contract with Muscular Development Magazine the leader in bodybuilding and sponsored also by Gaspari Nutrition .Good luck Hide!! !